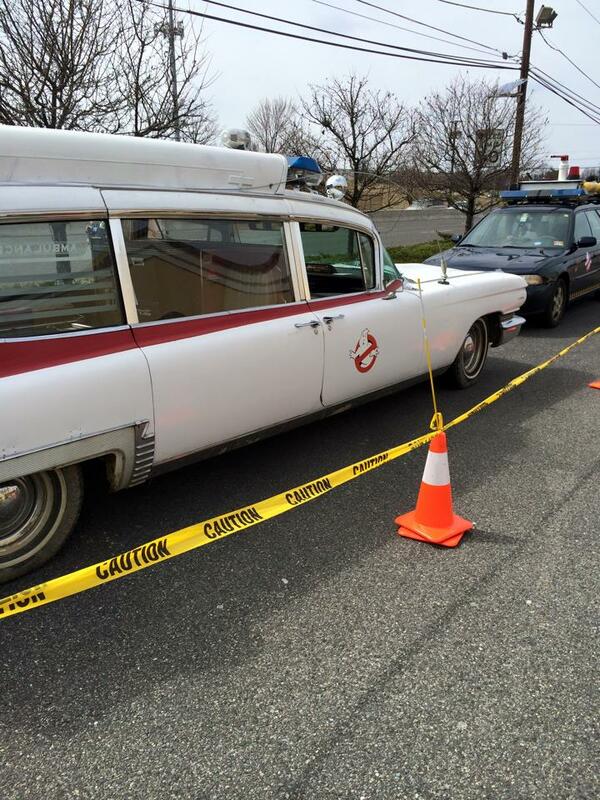 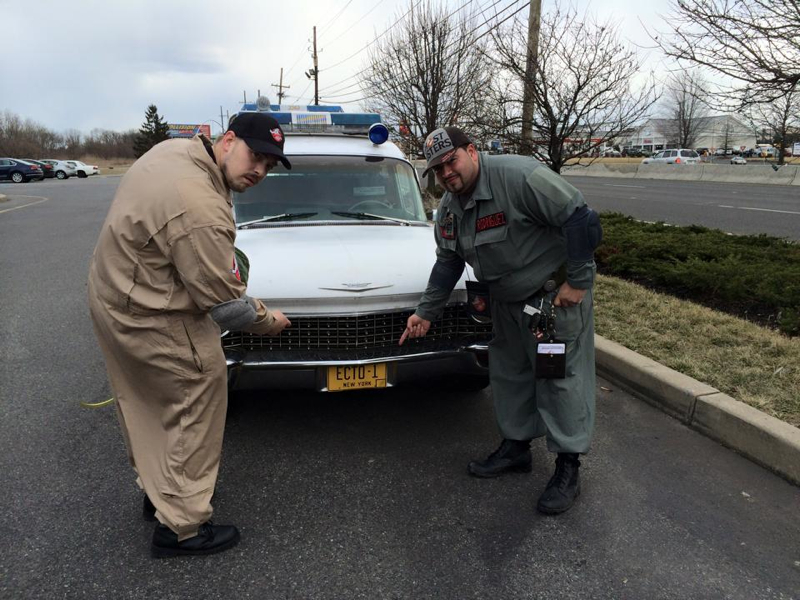 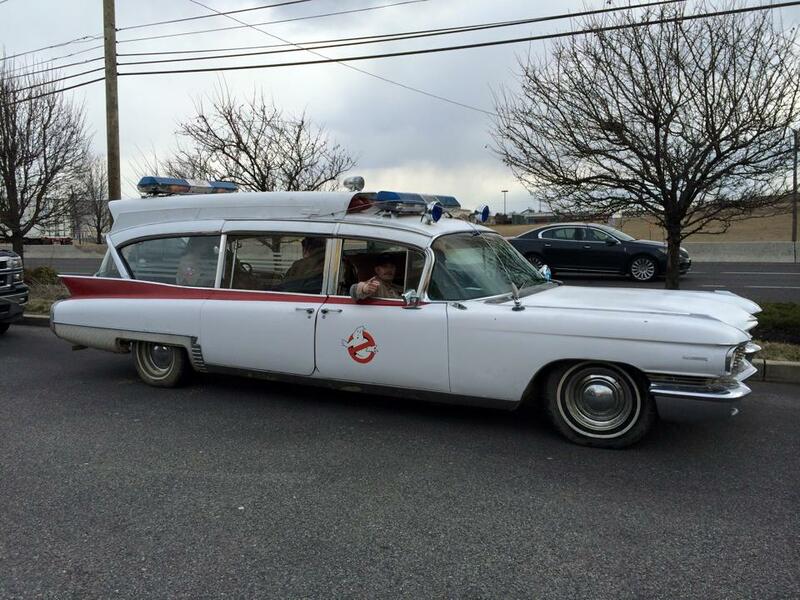 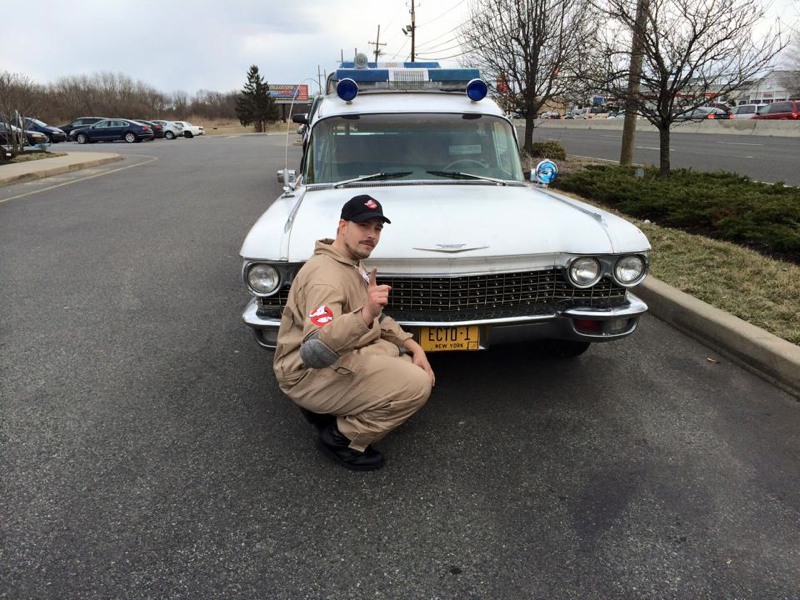 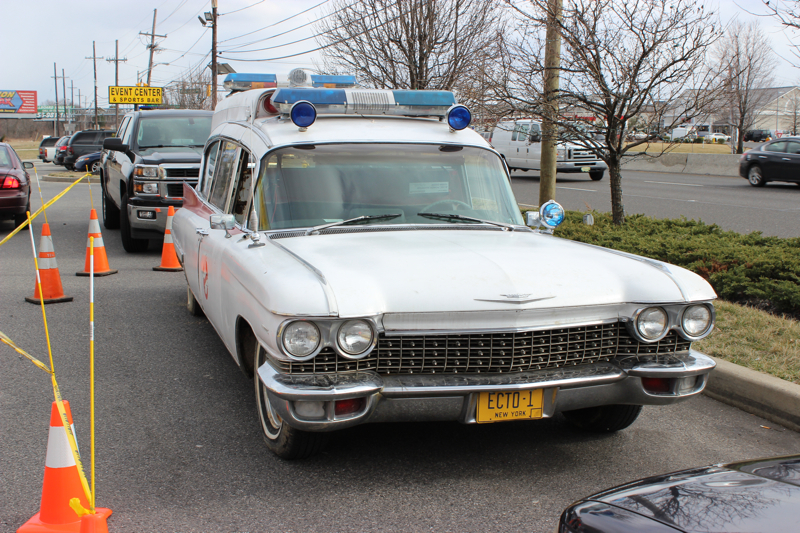 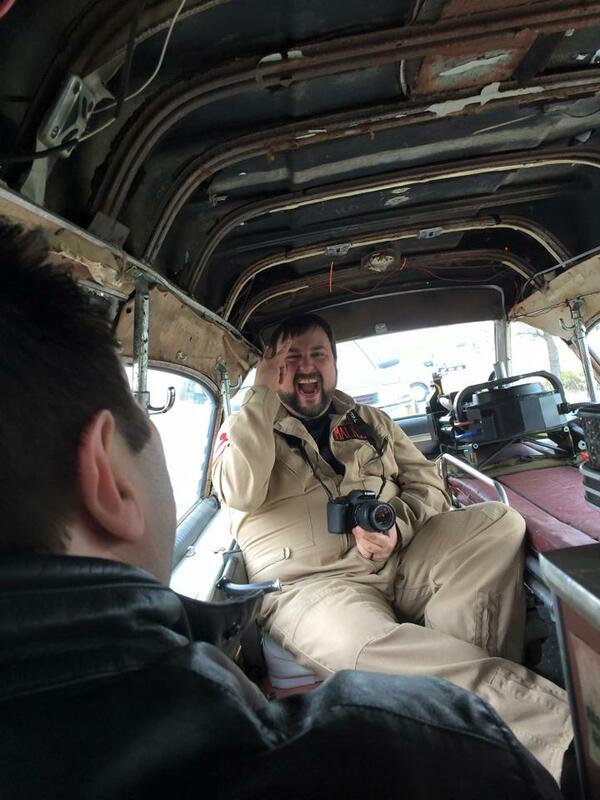 Jeffe Rodriguez owns a 1960 Cadillac Ambulance, which he’s personally restoring for full ghost chasing abilities. 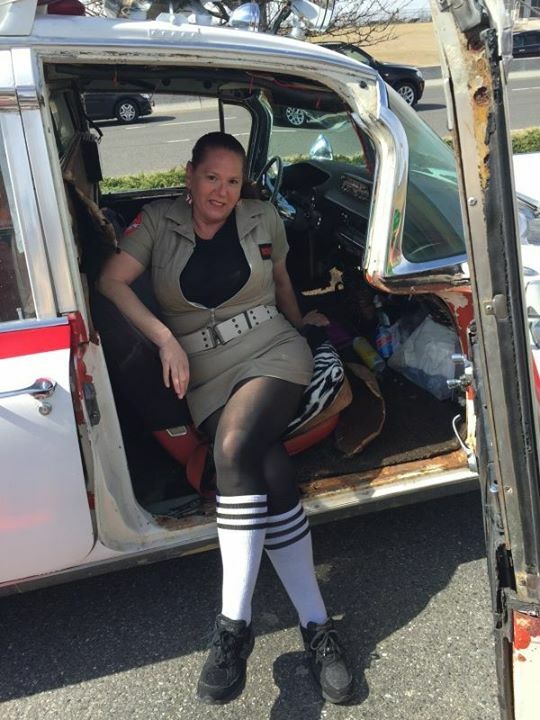 Maybe for car shows. 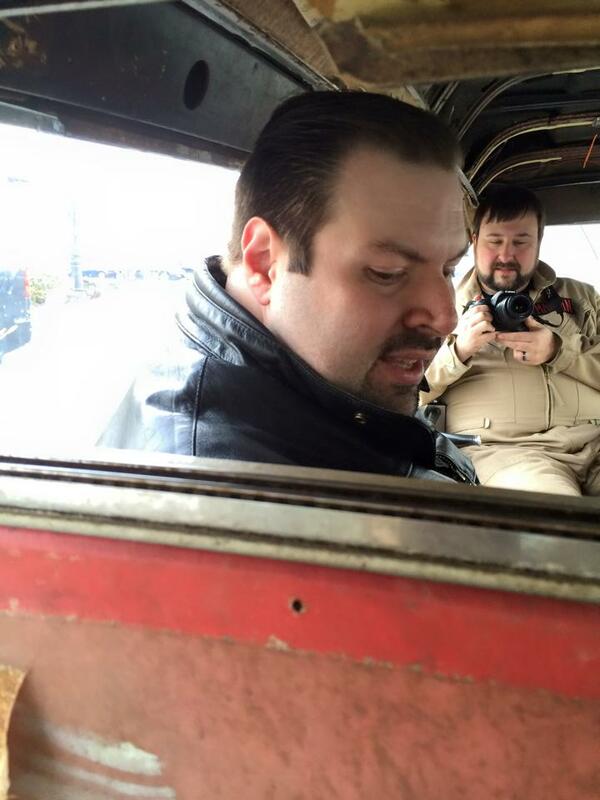 Definitely for charities. 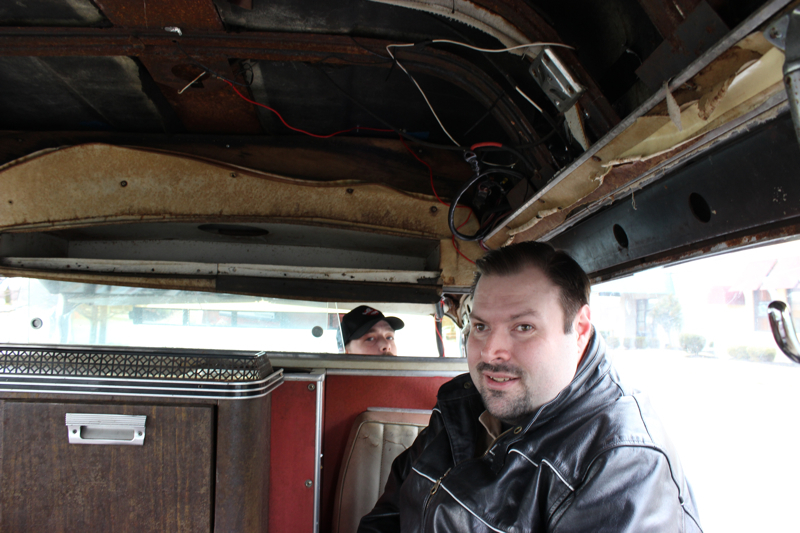 On Saturday, March 28, (a cold, windy day) Jeffe and Sara drove from Delaware at 70+ MPH with no heat. 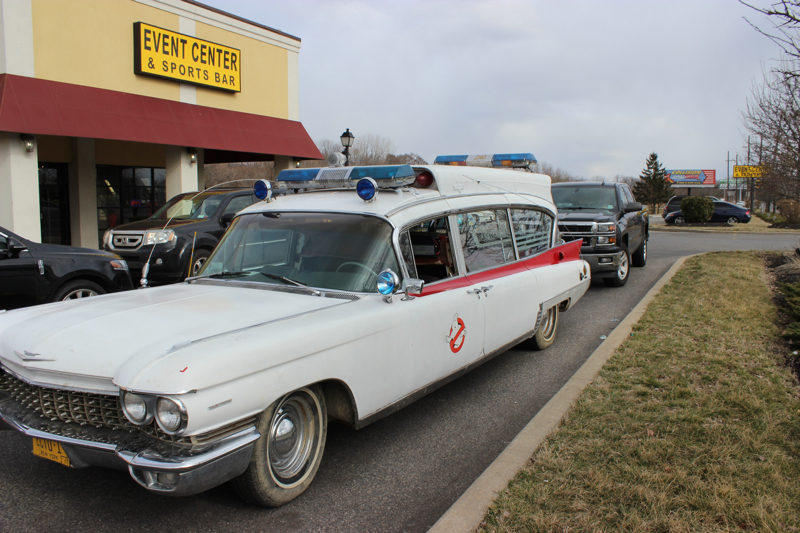 That’s dedication. 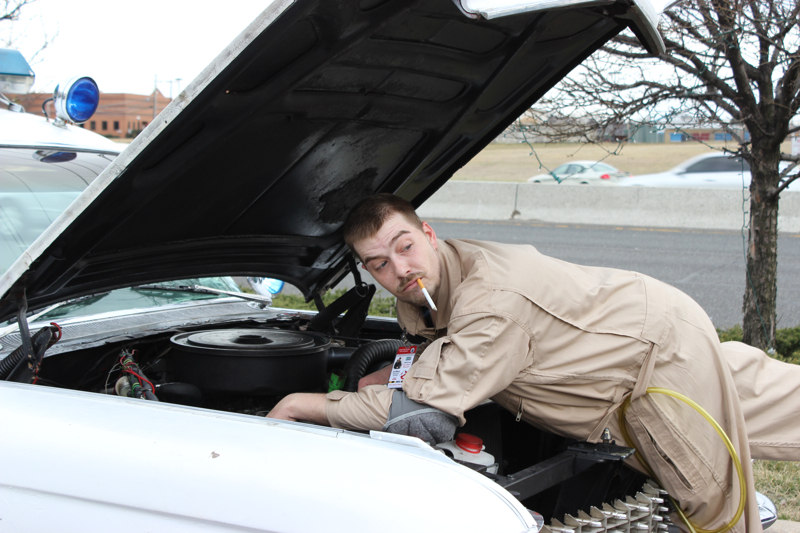 Or something else from the smell of fuel. 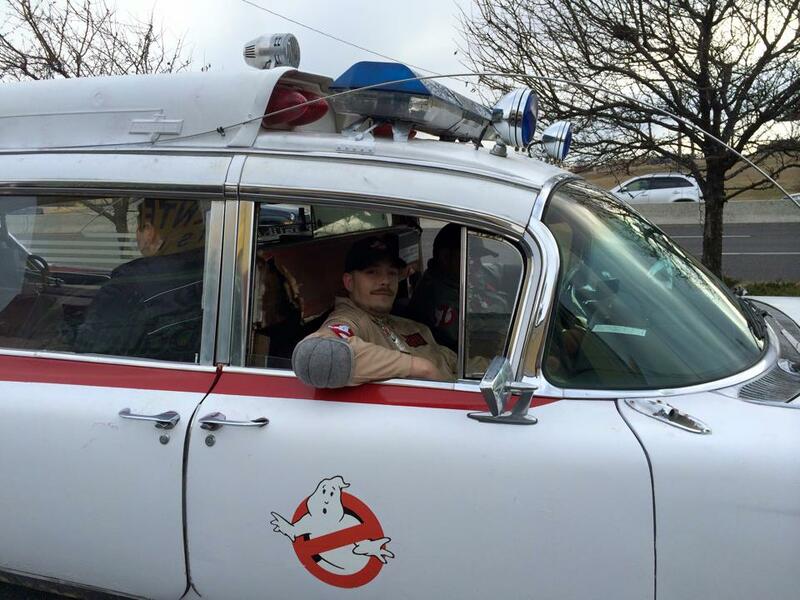 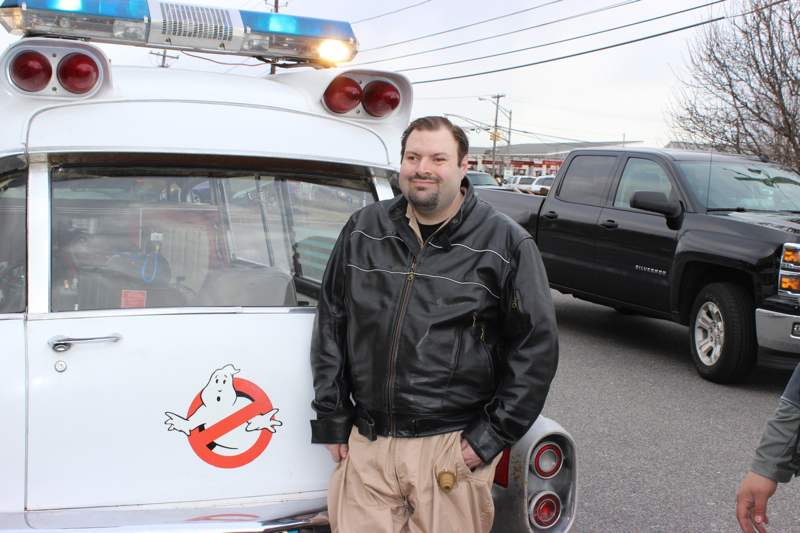 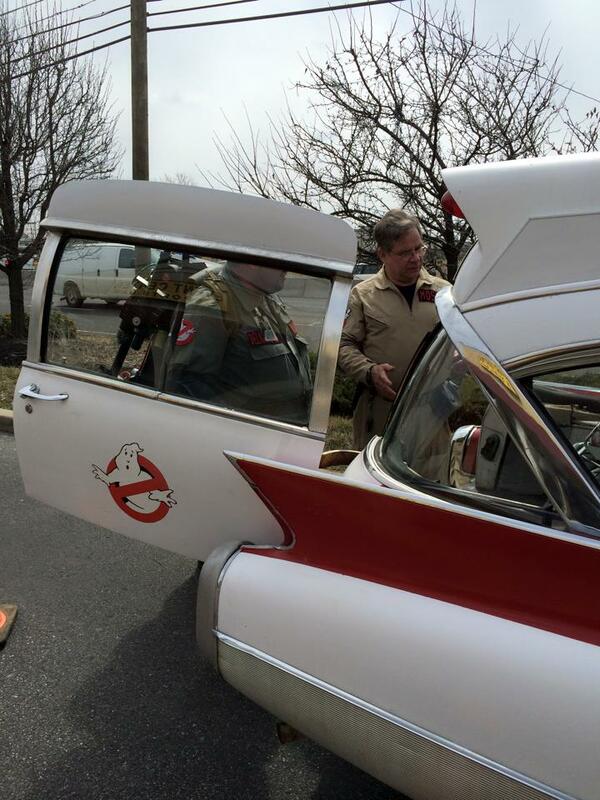 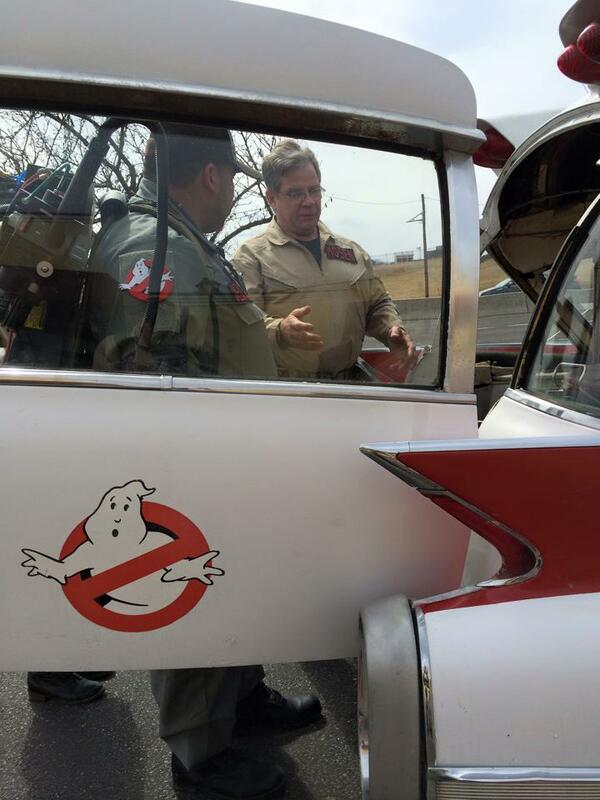 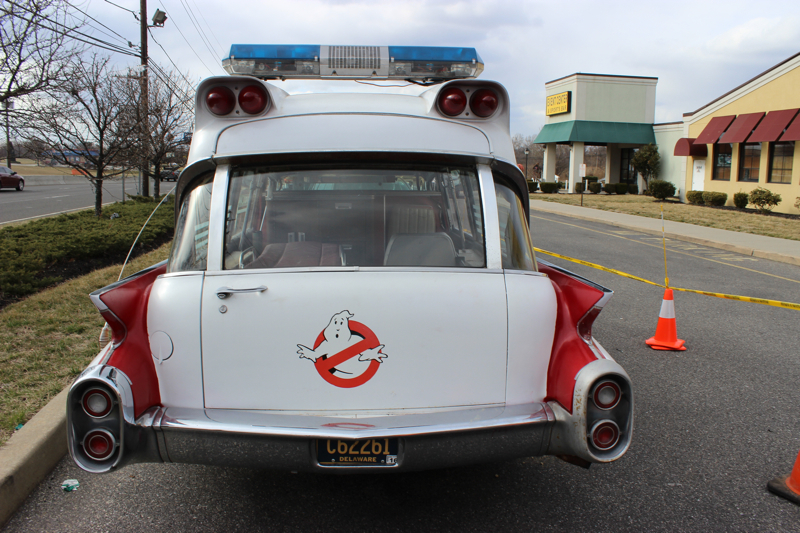 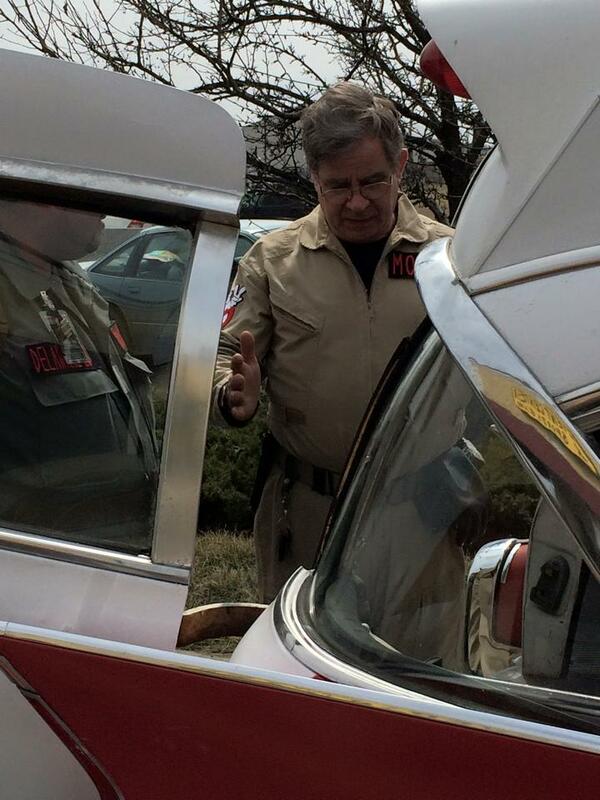 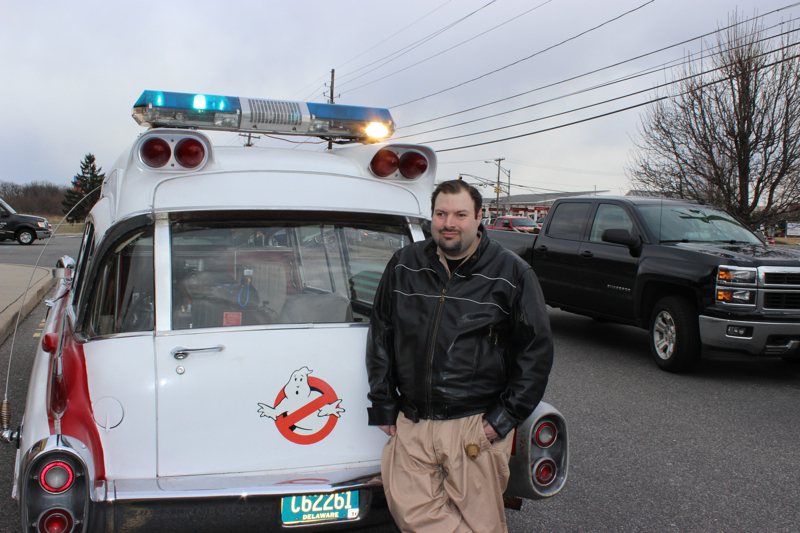 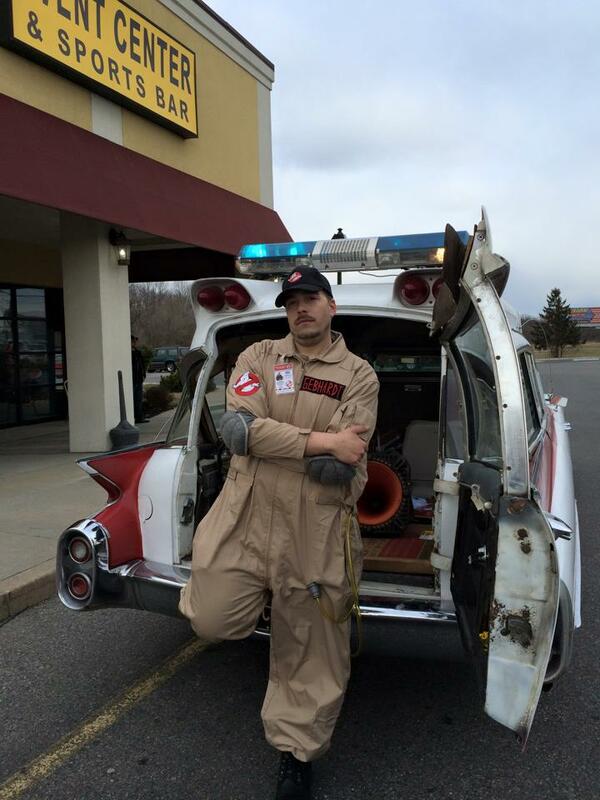 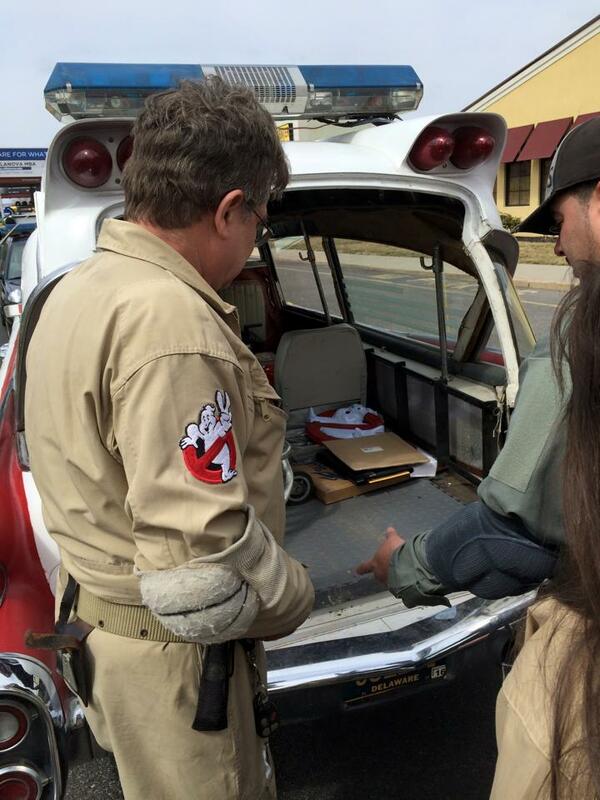 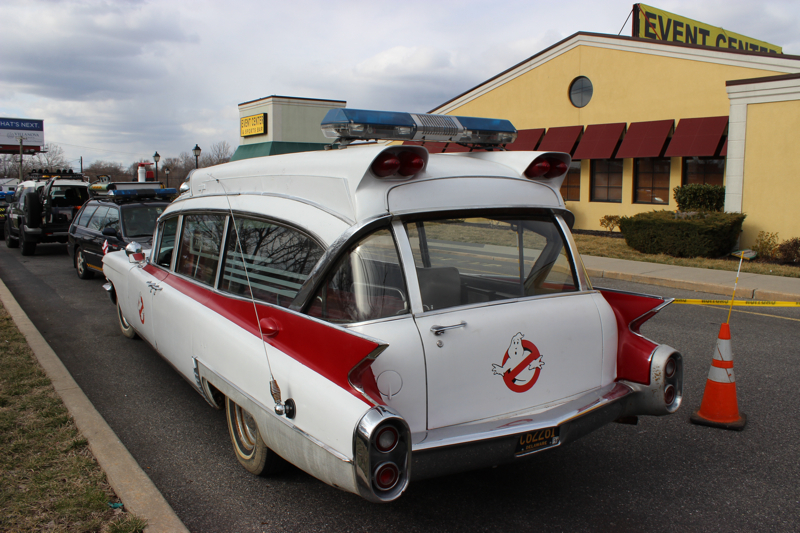 When you own a classic Caddy you could live in, (Tom wants to know what that’s like) and can’t talk to Stephen Dane (GB Inc) about building an ECTO-1 you do the next best thing, speak with Peter Mosen.